Curry powder is actually a mixture of spices typically consisting of turmeric (a powerful cancer-fighting spice! ), coriander and cumin. Some powders also contain chili powder giving them a red color. Not hot in the traditional sense, curry powder provides a warmth to dishes that is both flavorful and comforting. If you like more heat, increase the red pepper flakes in the sauce. The meatballs can be made ahead and frozen. Simply place on a wax-paper lined cookie sheet in the freezer for about an hour then keep in a sealed plastic bag or container in the freezer for up to 6 weeks. Thaw in the refrigerator overnight before cooking. For the meatballs, combine the turkey, onion, egg, curry powder, cumin and salt together. Lightly stir in the panko (do not overmix). Form into 18-20 meatballs. In a large skillet heat 2 Tbsp olive oil over medium heat. Brown the meatballs on all sides. 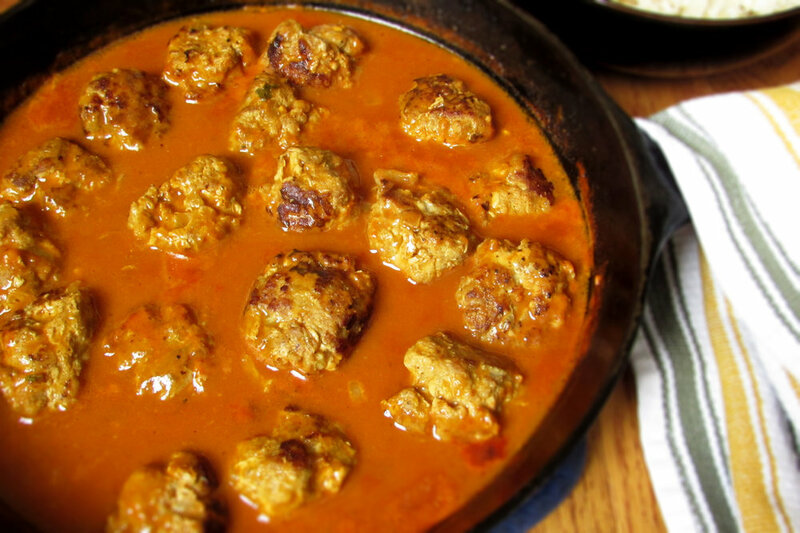 While the meatballs are browning combine all sauce ingredients. 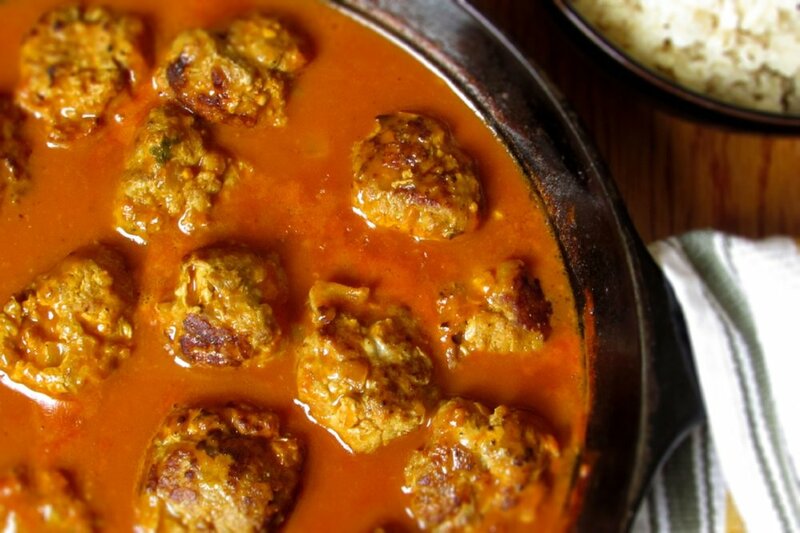 Once meatballs are browned, add the sauce and simmer over medium heat for 15 minutes, occasionally spooning sauce over the meatballs. Serve over brown rice, quinoa or whole grain pasta.